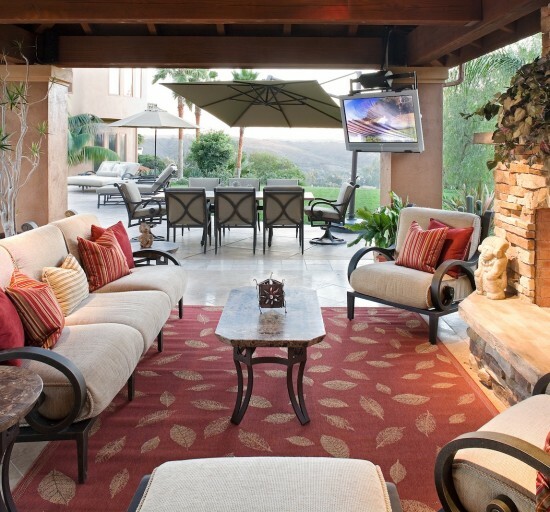 This Rancho Santa Fe interior design scheme incorporates the surrounding outdoors as well. 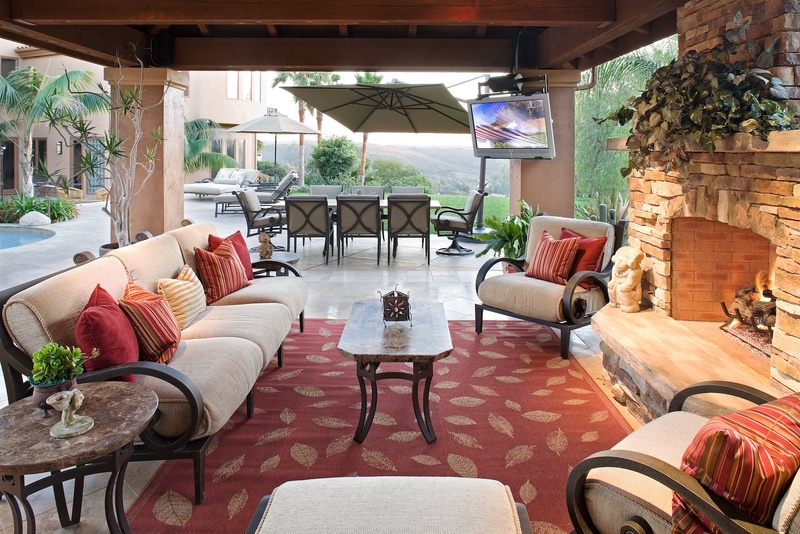 Jim Walters created a home away from home in this poolside cabana featuring a complete stainless steel kitchen, a stacked-stone fireplace, and plush deep-seated bronze furniture. An iron dining table that seats eight is shielded from sunlight by a large cantilevered umbrella. "The lavish resort-style pool and cabana have transformed the backyard into a private paradise at this Rancho Santa Fe home."